Fawad Khan had shot to fame as the lead vocalist of the rock band Entity Paradigm in Pakistan. Fawad Khan with his Entity Paradigm bandmates. Mumbai: Fawad Khan is well-known for his handsome looks and acting abilities as is evident in his Bollywood films ‘Khoobsurat’ and ‘Kapoor & Sons’. 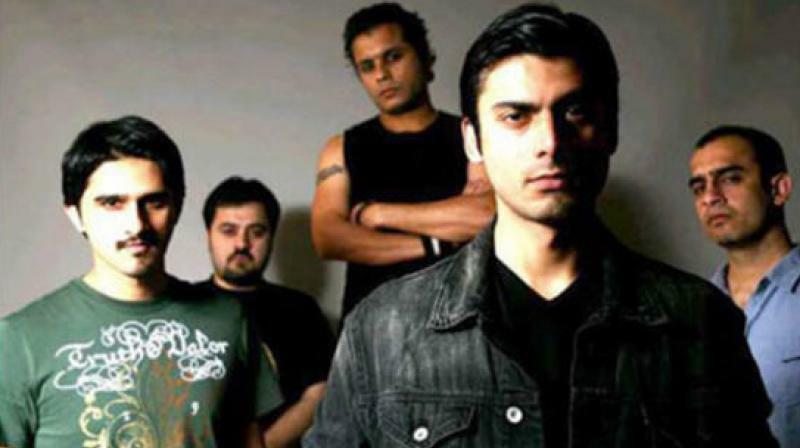 However, Fawad had actually shot to fame as the lead vocalist of the rock band Entity Paradigm in Pakistan. The band gained popularity in the early 2000s, but was dissolved in 2007. After two years it united again, where they performed in the third season of Coke Studio. Fawad dissociated himself from the band completely in 2012, to pursue a full-fledged career in acting. Fawad had featured in numerous Pakistani television dramas in the 2000s and also in the very popular film ‘Khuda Kay Liye’, co-starring bollywood veteran Naseeruddin Shah. Fawad, who had married his girlfriend of eight years, Sadaf, in 2005, ironically croons about a money-obsessed girlfriend in this very popular number. His version is a cover of a popular rock song of the same name, sung by Pakistani artist Saddaq Ali. We have seen examples of actors-turned-singers like Amitabh Bachchan, Priyanka Chopra, Sonakshi Sinha; do we see Fawad going singer-turned-actor-turned-singer in any of his next films? ■Watch: When Richa Chadha came to Fawad Khan’s defence! ■Fawad Khan and Alia Bhatt promote Akshay Kumar's Rustom in style!